Many of the companies in the A to Z section, including some very well established providers, also offer an option for cloud use, but the Cloud Section of my site is for systems specifically designed for online use, often with no in-house option offered. See the web page, as above, for the links to these companies as well as additional information. These web pages, and this article, are mainly based on information supplied to me by the suppliers so if any features are particularly important to you, please check yourself! I will be writing an article on the well-established A to Z of suppliers for the next issue of the Newsletter (November 2016). Links to all suppliers listed are on my Cloud Systems page www.venables.co.uk/outsourcing.htm and in the online version of this article. Suppliers marked * are members of the Legal Software Suppliers Association. Acorn Legal provides an outsourced legal accounts service aimed at sole practitioners and smaller firms. A fixed monthly fee covers all accounts postings and regular reporting, including reports such as quarterly VAT figures. Online access is also available for ledger enquiries, time recording and custom reports. Advanced* offers Cloud Solutions and Managed Services for solicitors, barristers and coroners and are used by over 400 legal firms in the UK. They have extensive technical knowledge of the IT requirements for law firms due to their history of taking over several key legal software suppliers in past years. Although they are experts in hosting their own legal software solutions, their platform is designed to handle any application software that is compatible with cloud hosting. Bar Squared provides LEX Chambers Management, now live in over 200 chambers. The software runs through Microsoft SQL server and web browsers so is quick to deploy and can be used easily whether in chambers or remotely. Facilities offered include Multi-view Diary, Case Management, Fees and Billing, Graduated Fees, Workflow, Drill Through Reporting, Marketing, CRM (client and prospective solicitors), Solicitor profiling, Mail Merge, Campaign Management, Practice Analysis, Document Management, Time Recording and LEX for Mobile. C-Track is Thomson Reuters’ court management and filing solution designed to capture, track, process and report on court information and keep cases moving through the judicial process. The web-based software, designed to solve the complexity of appellate and trial court case flow, can be configured to operate with multiple agency or partner products to ensure a seamless and efficient workflow solution. Clio provides a cloud based legal practice management software. The user can track time, generate bills, manage appointments, and collaborate with clients. Clio is based in Vancouver, with additional offices in Toronto, London and Dublin. Converge TS (TS… Technology Specialists) provide a complete outsourced IT department for law firms, with software that actively supports and manages their clients’ network and helps protect their data. Denovo Business Intelligence provide Denovo Intelligent Cloud, covering accounts, time, legal aid, diary and other aspects of the firm’s work. Users can access their electronic files through their smart phone, iPad or laptop. DPS Software* offers law firms a very well established hosted IT solution and has become the largest legal cloud provider in the country. They provide all the standard and specialist applications that a law firm would need along with technical support and hardware maintenance. DPS received their certificate of accreditation to the ISO/IEC 27001:2013 international standard for information security management in 2015 and are also Cyber Essentials certified, hosting and protecting the data of over 120 legal businesses, nation-wide. DPS mobile applications include SafeChat, a secure one-to-one communication app exclusively designed for client to fee earner communications and iTime, a remote time recording app, integrated with their web-based practice management software. Easy Convey* is a web-based conveyancing case management system designed for small firms. The firm runs the case management software on their own system and can then provide case tracking information for their clients by exporting data to a secure site managed by Easy Convey. Online quotations can also be provided. The system can use any of the NLIS channels for the searches and includes a gazetteer of over 25,800 towns, villages and districts linked to their local authority and district land registry. 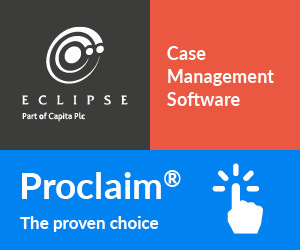 Eclipse*, part of Capita Plc, is a leading provider of Case Management, Practice Management, Matter Management and Process Management Software, used by over 23,000 professionals and the only solution of its type to be Endorsed by the Law Society. Proclaim integrates all case management, accounting, document management, reporting, time recording, task and diary functions, web-enabled to allow clients and referrers to securely view their live case files online. The Hosted solution is identical to the version used in a standard client-server environment. TouchPoint is their client self-service solution, providing an always-on, platform agnostic “journey” for law firm clients and business partners. Firmex Virtual Data Room is a collaborative, online deal management application, making multiparty transactions more efficient and more secure, with 24/7 access, document versioning and real-time activity reports. Aggregation of searchable deal information allows users to selectively publish digital record books and due diligence information for future reference and accountability. FormEvo.co.uk is a new cloud based legal and professional forms solution. There is a forms library which offers a choice of “print and post” and/or “electronic submission”. There are advanced API’s for integration (eg Case Management). Being truly cloud based, FormEvo incorporates many advanced features that traditional desktop forms applications cannot achieve. Free2Convey is a “free to use” Conveyancing Portal backed leading Conveyancing Software Providers. It is designed for all parties in a Conveyancing Chain to view and contribute – Conveyancers, Agents, Lenders and Clients, all without any cost. The system works as a standalone application or it can integrate with all the main case management systems. Hoowla Legal case management software operates a pay per case model with no minimum contracts and no setup costs, scalable for firms of all sizes. The software includes quote calculators, forms and letters, accounts and invoicing, time recording and dashboard reporting. Conveyancing departments benefit from integrated search ordering from a number of search providers, online SDLT submissions to HMRC and Land Registry Business Gateway integration. Software upgrades, training and support are all provided free of charge. nt bodies to streamline the process of creating repeat documentation such as employment contracts, bank loans and sales contracts in more than 60 countries. HotDocs Cloud Services is a cloud-based platform that facilitates the embedding of the automated document generation technologies into an organisation’s own process systems. InTouch Conveyancing Software is a complete cloud conveyancing case management solution that provides the automation tools for conveyancers to run an effective, profitable practice. There is an ergonomic, easy to use interface and a very cost effective price. There are no minimum contracts. LawCloud is a cloud based practice, matter and case management system with integrated accounts and CRM components. 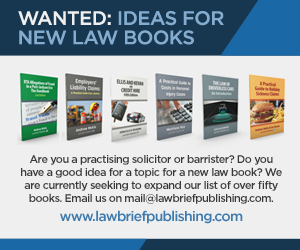 The software is available at a fixed low monthly cost, offering flexibility, scalability and security for law firms and solicitors in the UK, now used by over 350 UK law firms. The software is particularly good for new start-ups as well as existing small or medium sized firms looking to modernise. Lawcloud was the first legal Practice Management Software provider to be awarded certification with The Cloud Industry Forum (CIF). LEAP* is an integrated cloud based legal case management and accounting solution for small law firms (1-80 people) that specialise in common areas of law such as residential conveyancing, estate planning and probate and family law. Automated document production and tasks are combined with all the record keeping needed including time recording (mobile & desktop) and billing, safe custody, and legal and client accounting. There are also legal forms and precedent letters, all of which are kept up to date and highly automated for accuracy and ease of production. All common rates and charges are automatically adjusted and data capture fields are preconfigured for each matter type. LEAP has offices in Twickenham, Manchester, Cardiff and Edinburgh. My1Login is a European leader in protecting against enterprise cyber security threats through its Identity and Access Management solutions (IAM). It provides a single user identity for employees and makes it easy to log into business applications, whilst satisfying ICO guidelines for protecting client data. The system is used by many major law firms and public bodies. myhrtoolkit is cloud software designed for small and medium sized businesses to streamline the HR function with easy-to-use human resources tools. Holiday requests, absence management, appraisals, tasks, reports, HR documents, messaging and reminder notifications can all be managed online. Ironmonger Curtis employment law partner Jon Curtis is also the Managing Director of this software which is sold nationally by HR and employment law professionals. Nasstar PLC provides Hosted Desktop and Hosted Exchange cloud computing services, delivering Windows desktop, Microsoft Office, Exchange/Outlook email, BlackBerry and other applications in the cloud with a simple usage based payment model. Nasstar Hosted Exchange allows you to access your email, calendar and contacts from anywhere. Node4 is a UK-based Cloud, Data Centre and Communications specialist. In addition to offices in Reading, Newark and London, they own and manage Data Centres located in Derby, Leeds and Northampton, as well as having dedicated space in a Slough Data Centre. The Data Centres are connected using Node4’s national fibre network. 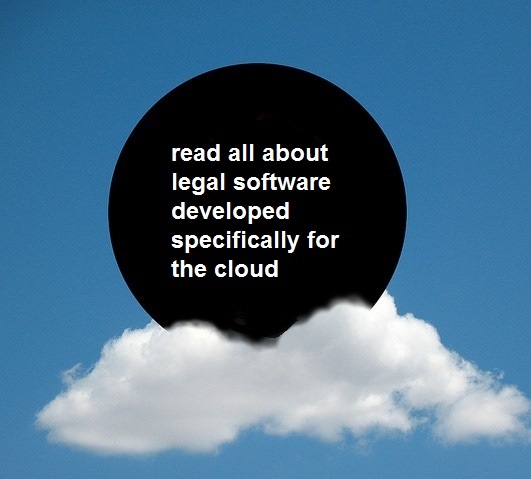 Osprey Legal Cloud* is a web based practice management system for law firms from Pracctice Ltd. with around 600 clients ranging from single user installations to firms with over 500 staff. The software includes Legal Accounts Software, Case Management and Practice Management. Peapod Legal Office now owned by LEAP (see above), specialise in providing effective, affordable solutions to small law firm in the UK, covering all high street work types. Peppermint Technology provides integrated case management, practice management, legal accounts and the market leading Microsoft CRM Dynamics Platform. Privitis provides a secure, complete and useful record of professional communications and ends the reliance on email to keep track of important communications. It meets the confidentiality needs of users from different organisations, facilitating correspondence between them while also managing the separate private and internal communications that need to take place and be recorded. Professional Technology provides its key products Seriatim case management and Quaestor financial management systems on a hosted basis along with the latest versions of Microsoft Office and Microsoft’s Exchange Server mailboxes. Running on dedicated and powerful servers in secure and scalable data centres based in London & Manchester the firm’s data is automatically replicated across the two centres and is also backed up overnight on a 30 day rolling basis. PureIntuitive provides cloud-based legal case and practice management software called PureCase. Designed for small-to-medium sized legal practices, the software automates routine legal administration tasks such as time recording, document production, fee calculations and invoicing and allows the user to track and analyse prospective clients, the impact of marketing campaigns, work in progress and the performance of employees and practice areas. Costs start from £50 per user per month for the full suite. There are no up-front costs or long-term contracts and all training is provided free of charge. 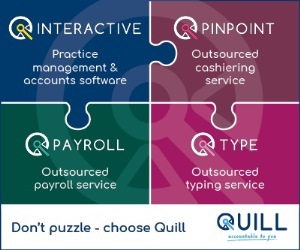 Quill Pinpoint* was formed in 1978, with offices in Manchester, Liverpool and Wilton, providing software and outsourced services to legal firms and professional companies. They have over 80 staff (almost 50 being legal cashiers) and there are 550 firms using the system. The system handles everything from practice risk management, SAR and SRA compliancy as well as cash flow forecasting and now document management which is fully integrated with MS Office Suite. There is a monthly fee covering everything from the application, the hosting, the BC & DR planning and the full time legal cashier. The Quill Pinpoint infrastructure spreads across three sites in the UK and is centrally managed from the Manchester offices. RILIANCE is a web based risk & compliance system for the legal market. Its primary aim is to ensure all firms that have to comply with the new and existing SRA regulations have a system in place that instils a robust risk & compliance structure. The software is easy to set up and use and has user friendly input screens and helpful guides. It produces standard letters and forms and provides reminders via email and account messaging relating to Risk & Compliance requirements. There is a simple monthly fee. Select Legal Systems* was one of the first legal software suppliers to offer a cloud solution to the legal marketplace. Since then they have successfully moved 70 law firms over to their cloud solution. Their flagship product, LAWFUSION, is fully integrated and offers everything you would expect from a leading solution, including Practice Management, Accounts, Time Recording and Case Management. SDLT.co.uk provides a Stamp Duty Land Tax (SDLT) form e-submission service, available as desktop or cloud and integrating with leading Case Management providers. Data entered into an SDLT form auto populates a range of HMRC and Land Registry application forms. The Solicitors Outsourcing Association (SOA) is an independent not for profit organisation, representing the interest of both solicitors and outsourcing suppliers. It provides solicitors with a comprehensive range of quality outsourcing services, under one umbrella. The chairman, Martin Read was a practising solicitor for over 20 years. Virtual Practices from SOS provides the latest .net practice and matter management software, SOS Connect. The software integrates with Microsoft Word and Outlook and includes customer relationship management (CRM), intuitive time recording and billing, auto document creation, matter and case management and automatic email filing. They also offer a fully outsourced legal cashiering service. Image cc by John Fischer of Sticker Giant (adapted).